Surprised by Hope (N.T. Wright): Wright is one of my favorite authors/theologians, and the kingdom of God is one of my favorite things to ponder. The Hidden Power of Electronic Culture (Shane Hipps): Shane is the pastor of Trinity Mennonite Church here in Phoenix. Cool story: he went from marketing for Porsche to pastoring a church; go figure. I listen to Trinity's podcast every week, and I'm amazed at how much he communicates in a short amount of time; the longest message I've heard was 27 minutes, and most are between 15 and 20. Since I'm long-winded (average talk time: 35-40 minutes; don't know how junior highers put up with me), I love hearing concise but powerful preaching. Anyway, he wrote a book, so I want to read it! 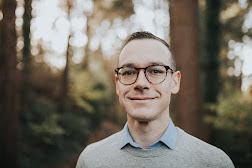 Culture Making (Andy Crouch): Andy has been a frequent speaker at leadership conferences (Catalyst, Q conference), focusing on the connections between Christianity and culture. Christians have responded to culture in a number of ways, from condemnation to conformity. Andy suggests that we embrace a new option--creating culture. Speaking to Teenagers (Doug Fields): This is one of the newest books about communicating to youth, and Doug Fields has been placed on a youth ministry pedestal (for better or for worse; it's just how it is when you're the youth guy at Saddleback!). I'm curious to see what Fields has to say. I've not been very impressed with any youth ministry communication books I've read thus far, so I'm intrigued by this one. Wild Goose Chase (Mark Batterson): Mark's blog was my introduction into the blogging world. He's a great communicator, and I was impressed with his first book, In a Pit with a Lion on a Snowy Day (best book title ever?). His second book focuses on the Holy Spirit and pursuing God. Theology of Hope (Jurgen Moltmann): This is one of those thick academic theological books that uses really big words. It's all about eschatology--the future times--and implications for the church. Twilight (Stephanie Meyer): That's right, I'm jumping on the teenage vampire bandwagon! Seriously though, these books are uber-popular amongst teenage girls, so I figure I should check out what they're into reading these days. Plus, it's an upcoming film being released this year, and I always like reading the book before seeing the film if I can help it. What are some recent books you've been reading that you can suggest? Have you read any of the above books and can give me a heads up? Glad to see that you are reading Twilight. I would think that it would be important to see what teenage girls are reading now. It's hard for me to get past all the mushy romance in the book, but the action and the new concept of vampires is pretty cool. I just finished the second book. It was a struggle. Very slow in the beginning and middle and sort of picks up at the end. I'm just sad that there's never any really any big action or surprises like in the Harry Potter books. Oh well, it will have to do until something better comes along. Yea Joel. I'm glad you are reading Twilight. By the way I know plenty of "old" ladies who love those books ... me included. So excited about the movie too! So much for my deep, theological reading. Sounds like Twilight is gonna have to be next on my list! Thanks for the input everyone. Chris, Groeschel's "It" is being added to the Amazon wish list.